It is your microcurrent prep! 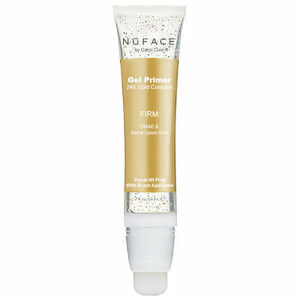 Gel Primer 24K Gold Complex - Brighten is a lightweight, leave-on formula designed to deliver the optimal facial-lift. 24K Gold Complex provides anti-aging benefits of Hyaluronic Acid, peptides, Gold and algae extracts. 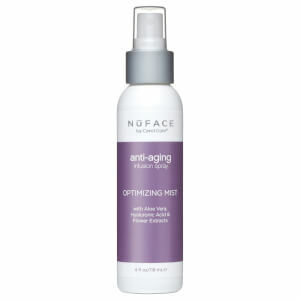 Brightening ingredients, Niacinamide and Licorice Root extract, help target and diminish dark spots for more radiant-looking skin. Water/Aqua, Propanediol, Gold, Hydrolyzed Hyaluronic Acid, Algae, Palmitoyl Tripeptide-1, Palmitoyl Tetrapeptide-7, Niacinamide, Dipotassium Glycyrrhizate (Licorice Root Extract), Arctostaphylos Uva Ursi (Bearberry) Leaf Extract, Vigna Aconitifolia Seed Extract, Phenoxyethanol, Carbomer, Sodium Hydroxide, Hydroxyethylcellulose, Magnesium Sulfate, Caprylyl Glycol, Ethylhexylglycerin, Glycerin, Butylene Glycol, Maltodextrin, Polysorbate 20.